Watch, stream and download hundreds of movies and thousands of kids’ TV episodes, sing along to music and soundtracks, and so much more. With something NEW EVERY WEEK, you can enjoy the very latest from Disney and rediscover your favourites. ** Please use UK IP to stream DisneyLife. You can utilise up to 2 concurrent streams per account. The quality of the display of movies and TV shows streamed may vary from device to device and computer to computer and may be affected by a variety of factors, such as your location, the bandwidth available through and/or speed of your Internet connection. DisneyLife offers HD streaming for most titles. HD availability is subject to your Internet service and device capabilities. Default playback settings on mobile networks exclude HD content. Please check with your manufacturer or owner’s manual if you’re unsure if your device supports HD. The minimum connection speed for SD quality is 0.5 Mbps; however, we recommend a faster connection for improved video quality. A download speed of at least 5.0 Mbps per stream is recommended to receive HD content, which is defined as 720p or better. 10.0 Mbps is recommended to receive content at 1080p. The time it takes to begin watching a movie or TV show will vary based on a number of factors, including your location, available bandwidth at the time, the movie or TV show you have selected and the configuration of your DisneyLife ready device. 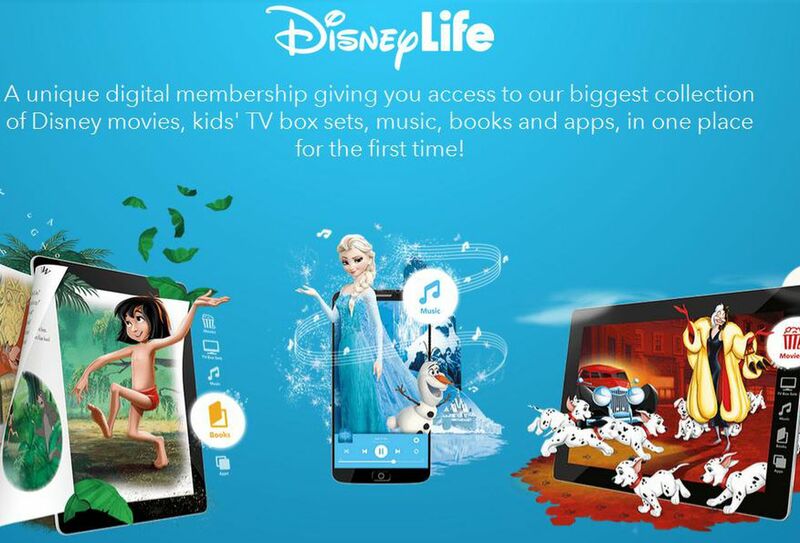 When accessing DisneyLife over your mobile network (not on Wi-Fi), you may use and/or exceed your data allowance. By default, streaming content via 3G/4G is turned off when you install DisneyLife. You have the ability to change this in your account settings. If you are using 3G or 4G to access the DisneyLife Service please make sure you are aware of the amount of data in your pay as you go or contract allowance. Disney is not responsible for any charges (including internet or data charges) you may incur in using the DisneyLife Service. Please check with your Internet provider for information on possible Internet data usage charges. You can access unlimited temporary downloads per device (subject to device capacity) for as long as you have an active DisneyLife account. You may only download content in the UK and can access the content downloaded to your device whilst you are in offline mode for up to 30 days after which time the downloaded content will expire. Content which is downloaded to a compatible device for offline viewing is not available in HD. DisneyLife is available in the UK only in English, certain content within DisneyLife is also available in the following languages: French, German, Italian and Spanish. Tangled, Beauty & The Beast, The Lion King, Frozen, Brave, Aladdin, Toy Story, High School Musical, Descendants, and more—for kids and the young at heart, you’ll find movies for everyone in your family! Watch kids’ and family episodes and shows from Disney Channel, Disney XD, and Disney Junior like Sofia the First, Mickey & Friends, Doc McStuffins, Hannah Montana, Gravity Falls, Spider-Man, and more. Enjoy music from classic Disney films, and explore thousands of songs from favourite artists. Discover bonus videos, behind-the-scenes, TV shorts, mini-movies and music videos!